What happens when Muslims and Christians tie the knot? When Heather Al-Yousuf, first met her husband of 28 years, they both felt a strong connection to their own faiths. But their love was not straightforward as Heather is Anglican and her husband is Shia Muslim. However, Mrs Al-Yousuf thinks this is why so many inter-faith couples are drawn together. 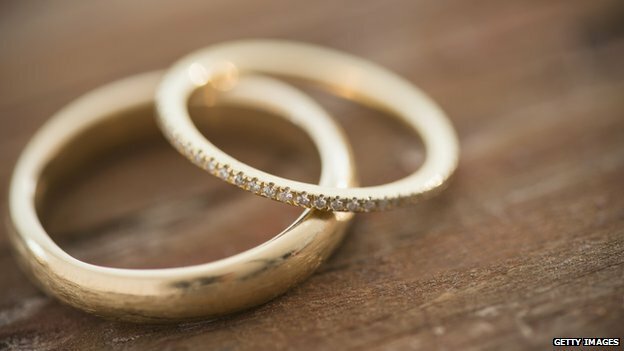 Inter-faith marriage is on the rise in the UK. But as couples from different faiths fall in love, what are the challenges they face? “There are quite a lot of Catholic-Muslim couples, and Catholics from quite a strong Catholic background meeting a Muslim from a strong Muslim background. “It is almost like there is something they recognise about each other, there is an unconscious connection there – same kind of families, same kind of faith informing how they live life,” Mrs Al-Yousuf says. She believes each faith puts family at its core. However, inter-faith relationships also challenge both faiths. Where do they marry? In what faith do they raise their children? According to figures from the 2001 census, more than 4% of married Muslims are in an inter-faith marriage in England and Wales. SELÇUK, Turkey — Thankfully, there are places where the simple coexistence of faithful Christians and Muslims is a joy to witness. In a peaceful grove of trees overlooking the ancient city of Ephesus stands a dignified one-story stone abode called Mary’s House, widely considered to be where the Virgin Mary lived her last years. Pilgrims — including Muslims, for whom Mary is honored as the virgin mother of Jesus, a great prophet — visit, pray and light candles. In fact, Mary is the woman most frequently mentioned in the Quran and the only one referred to by name. Pope Benedict celebrated Mass in front of the house on his pilgrimage to Turkey in 2006. Pope John Paul II came in 1979, as did Pope Paul VI in 1967. The last papal visit underscored the Catholic Church’s hope that Turkey, an emerging economic geopolitical giant — not to mention a massive land bridge joining Europe to the Middle East and Asia — can model positive dialogue between the world’s two global religious powers: Christianity and Islam. 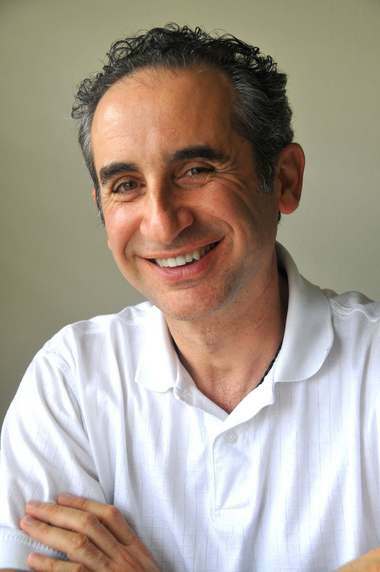 BIRMINGHAM, Alabama – Karim Shamsi-Basha spent his childhood in Damascus, Syria, and when he tells that to Christians, they ask if he knew the road to Damascus where the Apostle Paul converted to Christianity. Shamsi-Basha grew up a Muslim, so for a long time he didn’t know what they were talking about. “I would say, ‘Yes, we have roads in Damascus. '” Finally someone told him he should read about Paul in the Book of Acts. He has found his own road away from Damascus, but in many ways his heart is still in Syria. His home country has been wracked by civil war for the past two years. President Barack Obama has threatened a military attack in retaliation for Syria’s alleged use of chemical weapons. That has been on hold as Russia negotiates with Syria to get the government to surrender its chemical weapons. 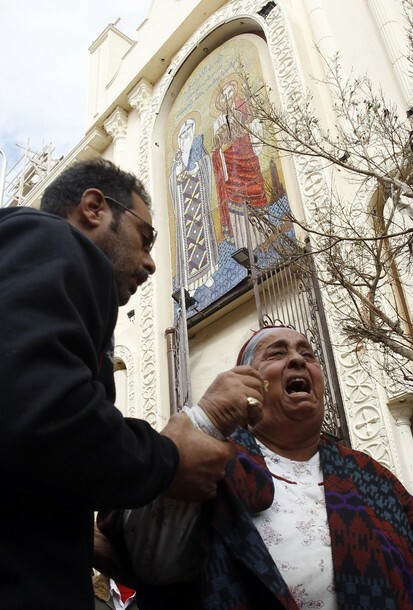 CAIRO — Gunmen on a motorcycle sprayed bullets at a church in a Cairo suburb late Sunday, killing at least three people. The attack appeared to be one of the deadliest in months against Egypt’s Christian minority, security officials said. There was no immediate claim of responsibility for the attack, which was apparently aimed at guests attending a wedding, the officials said. At least 12 people were injured in the shooting, the officials said. The killings signaled a broadening of the violence that has gripped Egypt since early July, when the military ousted President Mohamed Morsi, an Islamist and the country’s first elected leader, after widespread protests against his rule. More than 1,000 of Mr. Morsi’s supporters have been killed during a campaign by the government that appears aimed at eradicating the former president’s Islamist movement, the Muslim Brotherhood. Some of Mr. Morsi’s sympathizers have singled out Egypt’s Coptic Christians as scapegoats for retaliation, saying they supported the military takeover, and have burned churches as well as houses, businesses and schools belonging to Christians. The authorities have done little to deter the attacks, or to identify those responsible. American Muslims often get the kind of treatment once reserved for blacks and Jews, dehumanized groups that also were the victims of racial and ethnic prejudice and violence, according to University of Georgia religion professor Alan Godlas. But what many of us Americans think about Muslims stems from misinformation, from outright lies to just incomplete facts or errors in thinking, the religion professor said in a “Dialogue in Diversity”, sponsored by UGA’s Office of Institutional Diversity. As a result, many Americans believe things that just aren’t true about Muslims, he said. Many people believe Islam is inherently violent, or anti-democratic, or that the religion oppresses women and is opposed to modern values. As with those other dehumanized groups, Muslims are seen by many as something like savages or animals, frightening and threatening. 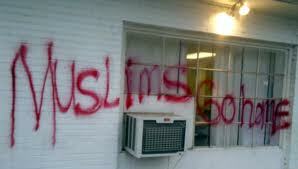 But a fundamental teaching of Islam is that people should strive to be kind and generous, he said. The religion professor, himself a Muslim, recently talked with about three dozen UGA students and workers, gathered to discuss how people can actually use emotion and bias to learn and teach about Islam. Maronite Bishop Elias Sleman heads the Eparchy of Latakia in the north of Syria, a region that so far has been spared the violence of the country’s civil war, which may come as a surprise to many in the West who imagine the entire country to be in the grip of violence. 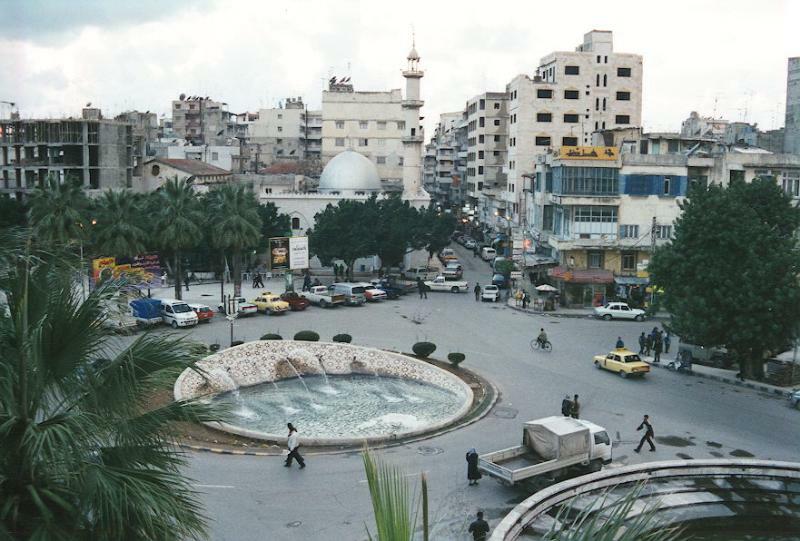 The territory is home to Alawite Muslims, who run the country, and who continue to live peacefully beside a Christian population of some 45,000. Latakia and neighboring towns are a haven for Syrians fleeing the fighting, Muslims as well as Christians, the latter having fled Damascus, Aleppo and Homs (which is part of the Latakia Eparchy) in great numbers, the majority of them currently stranded in Lebanon. Bishop Sleman is on a visit to the U.S. to rally support for his local community, not only to help him cope with the needs of the internally displaced — whose status, unlike that of refugees, make them ineligible for UN aid — but to give local Christians a chance to sustain a livelihood through farming. He is aiming to buy livestock and machinery for agricultural production, such as cheese-making. “If Christians cannot make a living here, they will leave, and most of those who leave — particularly for the West — do not return,” the prelate said, adding that “their enduring presence here and throughout the Middle East is vital for the well-being of Muslim society,” serving as an indispensable antidote to fanaticism and extremism. What Are Christian Mystics Doing at a Mosque? Over the last 20 years I have been inspired to ponder the benevolent potential of interfaith work when I have seen mystically oriented Christians and Muslims successfully dialoguing to show their goodwill. For those interested in spirituality, interfaith encounter and dialogue between mystics that includes a focus on spirituality is potentially quite interesting. Bernard McGinn sees mysticism as a “particular kind of encounter between God and the human” and he offers a rather expansive perspective on the essential goal of mysticism, stating that, “… everything that leads up to and prepares for this encounter as well as all that flows from or is supposed to flow from it for the life of the individual in the belief community is also mystical…”(Bernard McGinn, ‘The Foundations of Mysticism,’ Crossroad Publishing, New York, 1992, page xvi.) Christian-Muslim dialogue between mystics can be part of this whole experience as described by McGinn in the sense that it can focus the attention of persons on the relationship with the Almighty and what is important in the religion.